Put on those wellies and jump in some leaves with this fantastic birthday card, a fab choice for your Mum, Sister, Daughter, Auntie or a friend. The bold lively colours will bring them a little bit of autumn adventure to their special day. 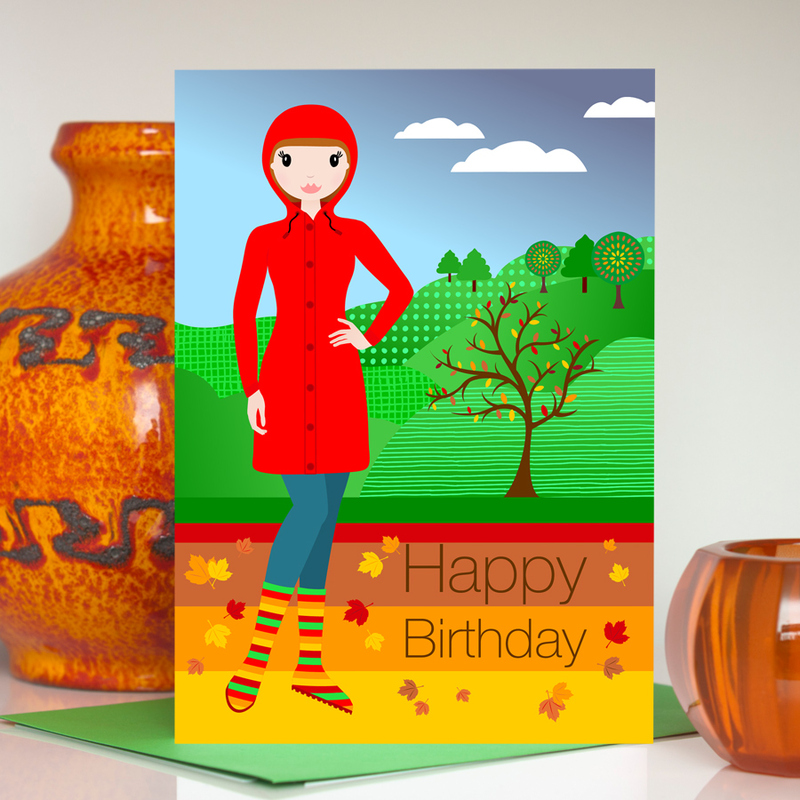 The card shows a young woman, wearing a red raincoat and colourful wellies, in front of a wonderful Autumn scene. 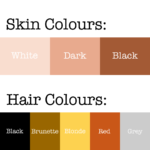 The text ‘Happy Birthday’ is printed against a series of red, brown, orange and yellow stripes. This card is available in A6 and A5 size so please select which you would like. 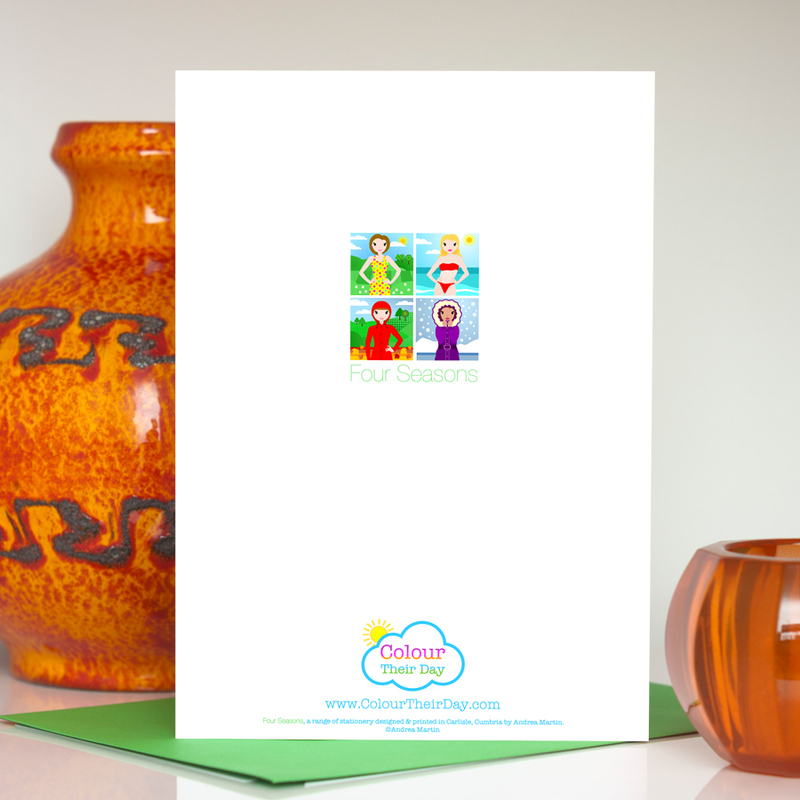 The character on the A5 size card can also be personalised by changing her skin and hair colour. 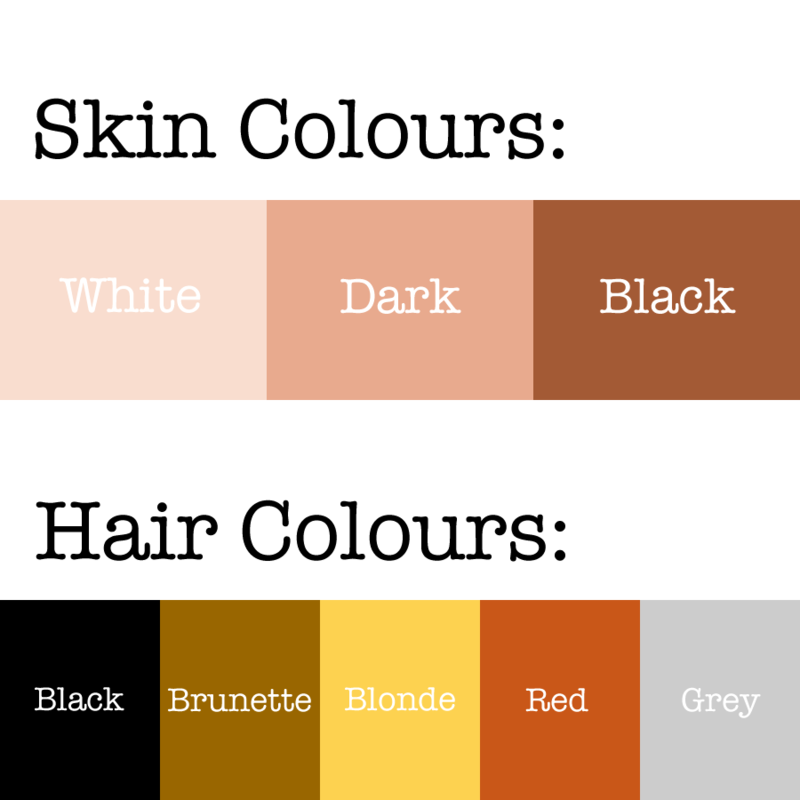 If you would like to personalise her, please take a look at the product image which shows the different skin and hair colour options available. Then fill in your requirements in the ‘Special Notes & Requests’ box. Any questions, just contact me. The card is blank inside for your own special birthday message. This card is also available as an Autumn phrase card and a blank card. There is a “Your text here” version as well, making it perfect for any occasion. Be the first to review “All The Leaves Are Brown – Birthday Card” Click here to cancel reply.